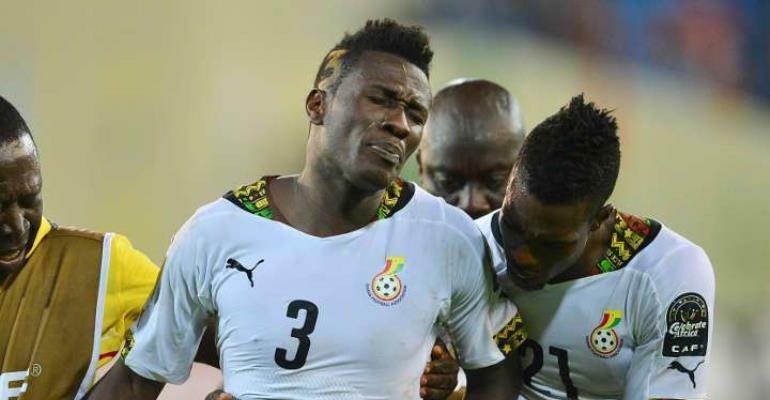 Ghana forward, Asamoah Gyan says he is hoping to improve and stay fit ahead of the 2019 Africa Cup of Nations to be held in Egypt. The Kayerispor forward was left out of Ghana's squad for their final Africa Cup of Nations qualifier against the Harambee Stars of Kenya last Saturday as well as the international friendly against Mauritania. The country's all-time leading goalscorer has endured a torrid season with the Turkish side which has kept him out of action for the large part of the campaign. However, the 31-year-old has expressed his desire to work hard and stay fit ahead of the 32nd edition of the Africa Cup of Nations. “I will be working harder at club level and would do my best to ensure that I stay fit," he told the media. "That is the most important thing. When a player is fit he is able to do a lot of things so I am looking forward to staying up on my feet before and during the AFCON,” he told the media. If selected, the 33-year-old will be making his seventh AFCON tournament appearance in Egypt and possibility his last appearance at a major tournament. The tournament will be held in Egypt from June 21 to July 19.